Popularly known as ‘Haldi’, Turmeric has wonderful properties that promote Good health. Because of which it has been a staple in Indian cuisine for thousands of years. 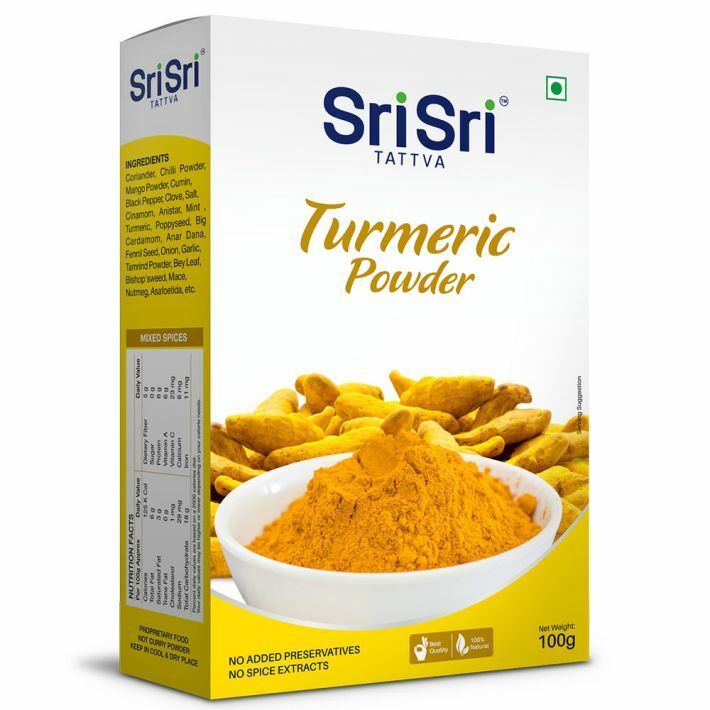 Sri Sri Tattva Turmeric Powder has been made using good quality turmeric roots to ensure that you get the authentic flavour of Turmeric. Include a pinch of Sri Sri Tattva Turmeric in your day to day cooking and enjoy its benefits every day.